As a homeowner, you likely think of gutters as a protective shield from water that keeps the exterior of your house dry and the garden below in pristine condition. While yes, that is the very thing that you expect when you install gutters, but if draining issues begin to occur your gutters can actually become damaging to your home. In today’s blog, Nice Shingles Roofing & Exterior, your local gutter installation professionals in Stroudsburg and the Poconos, will be discussing the beginning signs that there is something wrong with your gutter systems and that they are not performing optimally. If your siding has been painted, peeling paint is a telltale sign that your gutters are not functioning as they were intended to. The presence of peeling paint suggests that the gutter system was not draining as fast as the precipitation was falling, causing pooling and overflowing towards the exterior of the home. Peeling paint on the lower portion of your home exterior can indicate that the gutters are not functioning properly as well, being that it suggests water is overflowing from the gutter, causing puddling below, and splashing water back up onto the exterior of your home. Everyone knows that when things get wet for long periods of time that they grow mold. In fact, one of the primary objectives of a gutter system is to prevent things from getting wet and moldy in the first place. 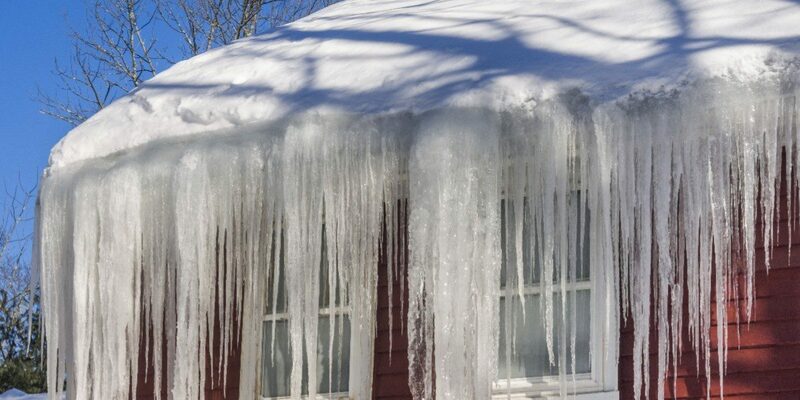 But did you know that damaged gutter systems can actually cause damage? When gutter systems are not properly draining they can pool and collect water. As more water flows downwards into the gutters it can actually cause water to splash back up under the shingles and seep into the roof. Once this happens attic mold can develop, and trust us when we say that attic mold is not easy to get rid of. Rotting siding is caused in very much the same way — as water backs up in the gutter, it is pushed towards the exterior of your home. If the siding never has enough time to dry out, it can become moldy and rot. And replacing siding is not cheap either. The easiest way to tell if your gutters are not draining properly is to find water, or evidence of water, around the exterior of your home. As water rolls off of the roof and out of the damaged gutter system, it will fall straight to the ground and begin pooling. If there is no water pooling around the foundation of your home, there can still be signs of past pooling in the form of displaced mulch, puddled dirt, and overwatered plants. Have Damaged Gutters? Contact Us for Gutter Repair & Replacement! If you have noticed any of the above things in, on, or around your Stroudsburg or Pocono’s home, we strongly suggest that you get in touch with our gutter repair team. If there is simply a blockage in the draining mechanism that is causing your system to fail, or if it is a whole section of gutter that needs replacing, our team has the tools and experience necessary to provide you with a quick solution. If you have any questions about our gutter repair or gutter replacement services, please do not hesitate to contact us and ask.